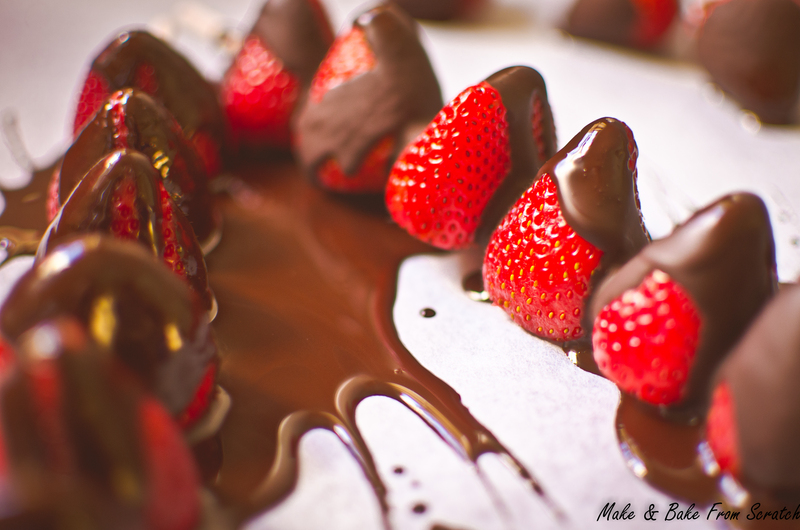 Chocolate strawberries are a delicious weekend treat. For me they were an indulgent treat and a break from study. You have the option of making your own chocolate coating or using 90% Lindt (sold in Woolworth’s). Dark chocolate is rich and decadent it really compliments the sweetness of the juicy strawberry. These would be great at a dinner party as they are nice and light. No need to discuss the health benefits here, sometimes it is nice to unwind. This recipe is gluten-free and if you make your own chocolate it will have low sugar content. Wash and slice the top of the strawberries (see image attached). Grab your skewers and slide those strawberries down the pole (5 per skewer). Place strawberries on grease proof paper. This is to ensure things do not get too messy when pouring the chocolate over them. In bowl add all ingredients and melt over a saucepan of hot water, stir occasionally and combine mixture. Once melted pour over the strawberries. Pop back in the fridge for 20 minutes to allow to set. Melt in a bowl over a saucepan of hot water and pour over the strawberries. Pop back in the fridge for 20 minutes to allow to set.